Teeny tiny Peruvian ceramic leprechaun beads dangle beneath coordinating fire polished Czech glass beads. Teeny tiny Peruvian ceramic leprechaun beads dangle beneath coordinating Czech glass beads. 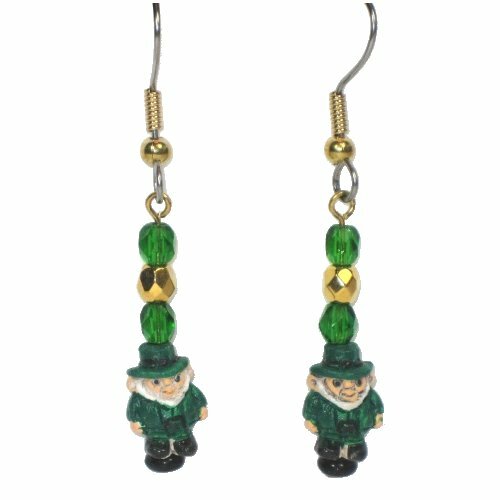 A fun gift for St. Patrick’s Day, they measure approximately 2″ long, including surgical steel ear wires.